We did enjoy Newport and stayed almost four days. The weather was excellent and there was a lot to do. 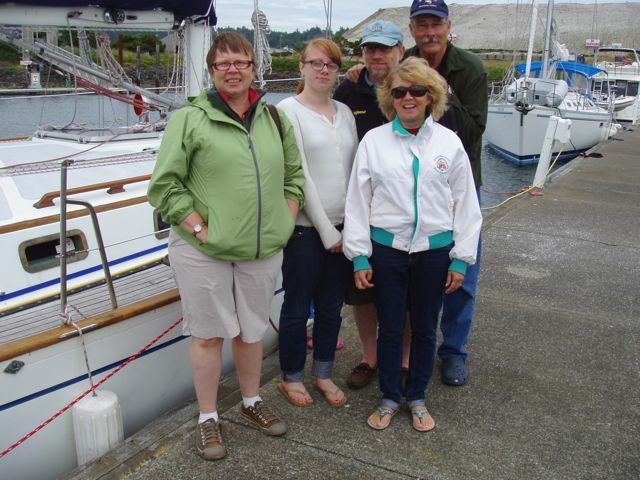 Our friends on S/V Miramar showed up and it was great to see Doug and Lynn. Our old friends, Richard and Holly, drove 2.5 hours from Portland to see us. Emma, their daughter, was subjected to the entire episode and she showed good humor at being dragged to drive all day to see her parents friends. Thanks, Em. We also visited more Galin friends: Bob and Kim Esterling. 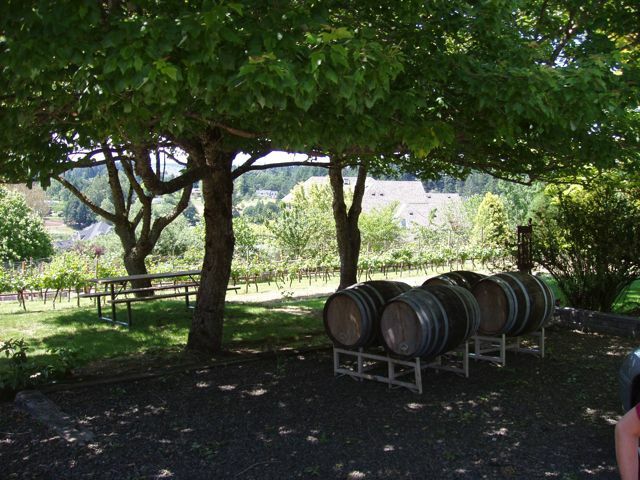 Several years ago, they started a vineyard and now grow highly regarded Pinot Noir grapes. They were superb hosts and we enjoyed meeting them. 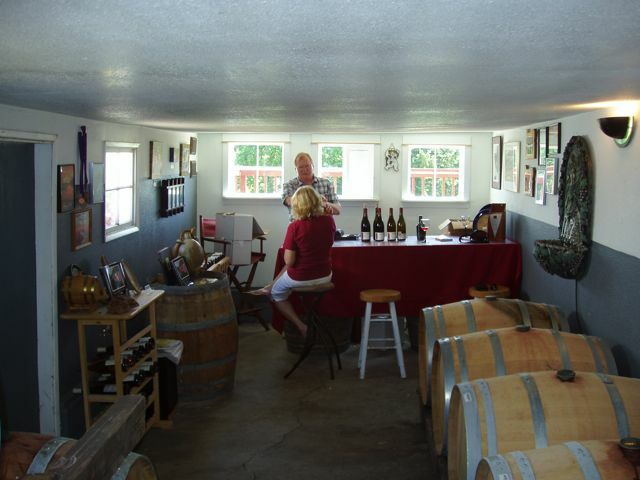 Not wishing to be too early in visiting the Esterlings, we found and visited a local winery: Springhill Cellars. How beautiful is this? Springhill Cellars is in a lovely location. 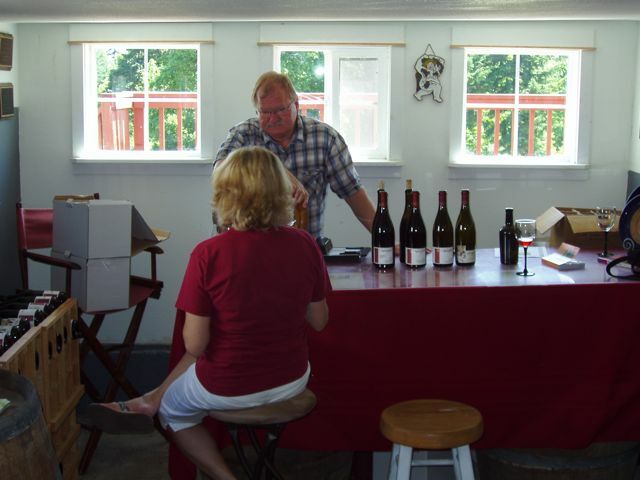 Owner/wine master, Mike, entertains Conni in the tasting room. Very French. Mike is the real deal. He owns the vineyard and makes the wine, every bottle of which we enjoyed. We even bought two. Their new port is worth watching: "...in a storm", it's called. Clever. The entire cellar. 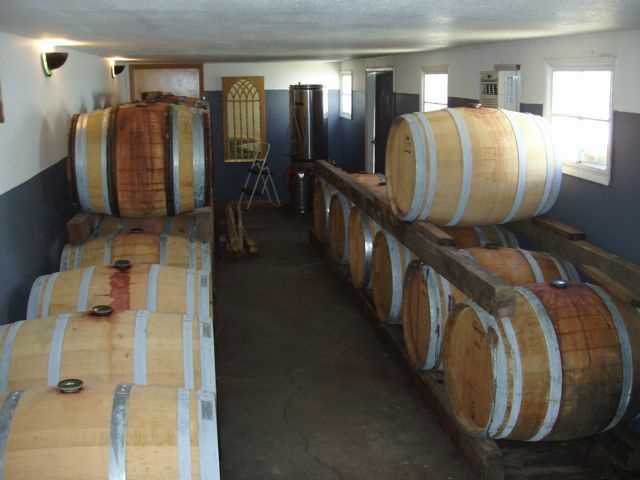 They use French oak barrels, beautifully crafted, and costing $1000 each. 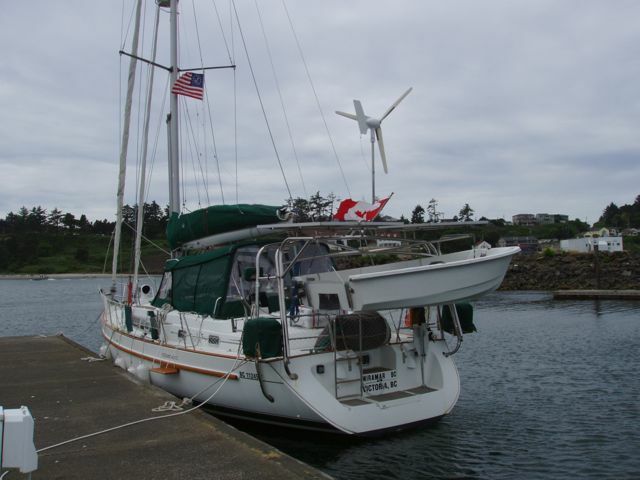 S/V Miramar, owned by our Canadian friends, Doug and Lynn. These two we'll keep as friends. It always surprises me when we meet other cruisers and find so much in common. The McLean/Caplans and us: Holly, Emma, Richard, Conni, Bill. 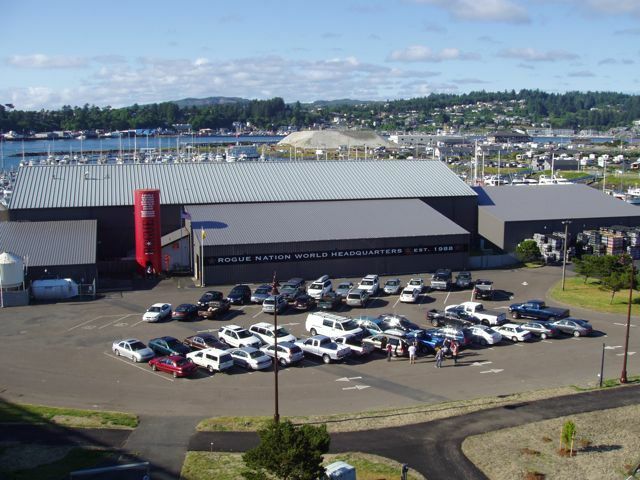 A marina can do no more for patrons than have a outstanding brewery on-site. Rogue makes an enormous range of beers, serves great food, and has journeyed into spirits, also made on-site.